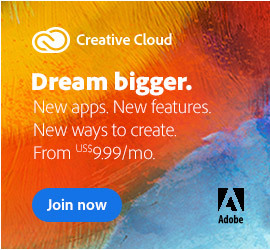 After decades of 30-day free trials for its flagship creative applications such as Photoshop, Illustrator, InDesign, and all the others, today Adobe announced that going forward, the length of the trial period for Creative Cloud (i.e., the CC 2015 desktop apps) will be standardized worldwide at 7 days. See Adobe’s full announcement here. If you want to get started today (and at least for the next full week!) with the latest Creative Cloud desktop tools, check out the CC 2015.5 direct download links here. All of the CC trials are fully functional and can run side-by-side on your system with any older CS versions, without interference. The Windows or Mac OS downloads can also be installed on multiple computers if desired – and easily converted to full versions at any time, without having to reinstall the software. Please pass this news along and spread the word! Looking for help with a zipped file (presentation) that I can open on one computer, but I can not open on any other computer. I saved it to a CD and to a thumb drive and it will not open on another computer. It was saved as an Adobe Acrobat Reader DC format. Any suggestions on how I can save this presentation so I can open on other updated computers? Hello Rosalind, what type of computer do you have and what is the exact name of the file? Is it a PDF file? If so, then you just need the free Acrobat DC Reader. Honestly, I feel that this a mistake. If Adobe wanted to cut back from 30 days, they could have gone to two weeks (14 days). 1 week just feels too short if you are me. Slightly off topic, Jetbrains have gone with a model that works almost the same way as Adobe does, with monthly and yearly pricing. What Jetbrains have done is that they will give you the version that was available at the time as you got your subscription after each 12 months. To quote them – “You will receive a perpetual fallback license once you pay for a year up front or 12 consecutive months.”. Would Adobe ever do such a thing? Hey Daniel, great to see you again and thanks for sharing your thoughts. Nobody can predict the future, but thus far it seems clear that Adobe is not going back to the old model… Creative Cloud has been growing fast with accelerating adoption, and has been an even greater success than the company anticipated… So, unless something major happens, folks probably shouldn’t expect the story to change from here on out. ???! It’s much more expensive now. My company got me CC at $800 a year because I could no longer use the CS Suite (that we paid a lot money for not that long ago) since Adobe stopped supporting it. The parts of it that still work do so erratically on EL Capitan. And, my company balked, I had to fight for the CC subscription. As a personal user, I can’t afford CC, so my investment in my own copy of CS Design Premium (which was a relatively huge one for me) just evaporated. Adobe should have said nothing at all about cutting the trial period rather than say something that would further inflame the still raw wound they dealt their loyal users (I started in the early 1990s, I taught Adobe software, and I had always been a big cheerleader). Well, CS6 is over four years old now and Adobe stopped supporting and EOL’d it just like they would any 4-year-old product that has since been replaced by multiple newer releases… That policy isn’t new and applied for old software like the previous CS versions too, as well as other Adobe tools like Acrobat, Captivate, Elements, etc. Nothing is forever in technology. Hardware and software evolve very quickly these days, then old programs aren’t supported and eventually stop working properly on newer computers or operating systems that came out later and don’t support previous interfaces and APIs – especially Apple, who is notorious in the industry for this! So while you think you might “own something” with the old CS licensing model, for most people, static software has a practical usable lifetime. By contrast, with CC all ongoing upgrades, compatibility updates and product additions are always included – so becoming obsolete will never happen. The monthly payments are also more affordable in the new model than in the old CS model – where the software used to cost many hundreds or often thousands of dollars upfront, and never evolved. As for the explanation of why Adobe cut the free trial duration, they did not state explicitly the part you quoted but it was our own interpretation. Nevertheless, it is indisputably true that the upfront cost of CC is small compared to the upfront cost of CS6 – so we stand by the assertion. Similarly, the ability to pay for CC for a couple months to really give it a thorough workout is easy to manage compared to back in the CS days where you simply couldn’t do that… With CS6, there was no short-term usage solution because it was all-or-nothing; you had no choice but to pay thousands of dollars in advance for the full suite (as you noted in your own case). So arguably, offering a longer free trial period before making that big investment was warranted at the time. Meanwhile, Autodesk offers 3 years Free trial for Students and Teachers… I hope other products can be able to overcome Adobe products, so in the future i won’t have to pay a lot of money every single year. Maybe if Adobe doesn’t ask for so much money for the monthly CC subscription, they will have more people paying and not just using trials… It works in all areas is like Movie Piracy, after Netflix come out, no one else cared about downloading a movie when you have a “fair price” to watch a lot of movies online. Maybe Adobe should do the same, and not move the trial period to only 7 days. Thanks for sharing your thoughts. This is actually one of the ideas of Creative Cloud. From a cost-of-entry standpoint, the monthly payments are much more budget-friendly in the new model than in the old model – where the software used to cost many hundreds or often thousands of dollars upfront, and did not evolve. 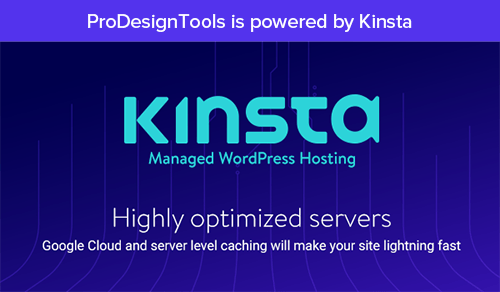 In addition, with CC, all ongoing upgrades with new features and performance improvements are always included at no additional cost. So the software will not become obsolete or stop working on a new operating system. Something else that is very powerful: Never before has the company had 15 million customers all using the exact same release of their creative products – not even with any version of Creative Suite (ever). 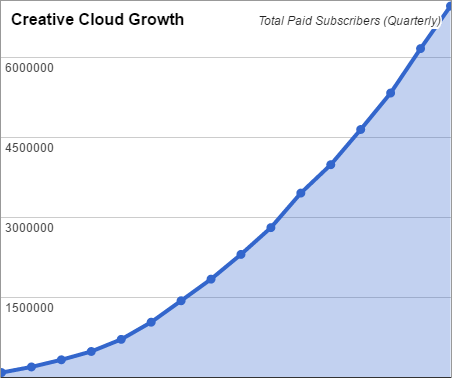 So overall, by virtually any measure, Creative Cloud has been a remarkable success – even exceeding Adobe’s own internal expectations. That said, however, many folks may wish the length of the free CC trial period hadn’t been reduced. This is totally understandable. But at least if you want to try the software out for another month past the end of the free trial, you can easily extend with a short-term subscription (even just one month) without mortgaging your house. You could never do that in the past. In another hand, my salary is R$900, So two subscriptions is equivalent to 27,7% of my salary. Then I will ask you… is it fair? Spend 27,7% of my month’s salary for a subscription to programs that I will use 1 or 2 times a month? Ok you can tell me, look for another freeware program, but it’s not the same because when I lived in Madrid in Spain I had paid a lot of money to have classes, to learn how to work with these 2 Adobe programs, and today I can’t use it because I cannot forward the money to pay for this subscription. So if this more affordable CC subscription isn’t working out for you in terms of cost, and you say you’re OK with a simplified, scaled-down “lite” home version with reduced functionality, then maybe Adobe Elements would go better for your situation? Absolutely ridiculous. Should have been notified before updating the software that it was going to be reduced from 30 to 7 days. to be honest, as a Chinese media student, according to my experience of studying cgi in both china and thailand, the shortened period of the trial could just boost the pirate market of adobe products in china and perhaps this trend would spread to the east asia countries very soon also. 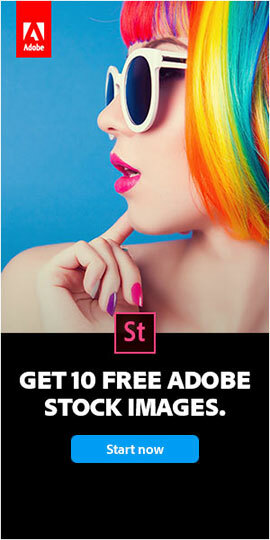 Using a trial for 7 days is really not worth trying it on adobe’s website. A student will not get comfortable nor is it enough time to learn how to use any tools with just a 7-day trial. definitely do not want to pay $19.99 for a product I can’t use and do not have a sufficient amount of time to use it. Hi Linda, thanks for your comment. 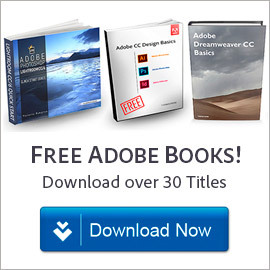 The word now is Adobe’s free trial is primarily for verifying that the software package successfully downloads, installs, and runs on your computer… In other words, to ensure hardware and software compatibility on your system. Yes, you can start to get into testing out the products but not exhaustively. For that, to use and learn the products in depth, you need a subscription, even if short-term only for a month, or longer. This is what we hear. Sorry if it isn’t what you wanted to hear. When you activate any Adobe trial on a computer that has CS5 or CS6, it ‘upgrades’ your existing software so that you can no longer use it without logging into Creative Cloud. Even after you delete the trial software, you cannot run the software that you legally purchased without an Adobe account and Internet access. What’s your ‘justification’ for this intrusion? Companies that ignore the customer and try to convince the customer they “know whats good for them” go out of business……that’s exactly what I see here as I read the comments. Problem is you’re no where near large enough for a Govt. buyout. Either you’ll change that back or get your resume ready to start your job hunt. Wow, you have a funny way of characterizing success… By virtually every measure in the industry, Adobe’s transition to Creative Cloud has been widely considered a major success, surprising a lot of skeptics and exceeding the company’s own original expectations. Never before (not even with CS6), have so many millions of customers upgraded and been running the same single release of Adobe software, which makes the platform all the more powerful. There are thousands of improvements and new features in CC 2017 as compared to CS6 from five years ago… If you don’t know or care what you’re missing, that’s fine – but if the latest releases can help millions of people get better work done faster, then time is money. That said, it’s understandable if some folks are unhappy that the free trial period was reduced from 30 to 7 days. But presumably Adobe made the decision with the benefit of rafts of customer data and business metrics, rather than being a risky or foolhardy move. So question. Do the trials have a non-stopping clock, or can you say use it 30 minutes a day for 30 days, and it will still work? How does it work? Hello Trey, good question! All Adobe free trials are fully-functional for 7 continuous calendar days from the time you first run the program on your computer. They aren’t stopped and restarted either by closing the tool running, nor by uninstalling/reinstalling the software. That’s not true. 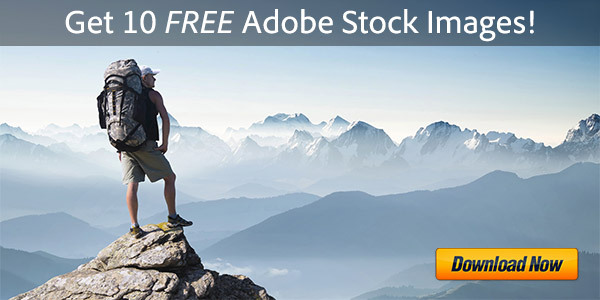 No credit card is ever required for Adobe’s free trials. Acrobat Pro, Standard, Reader DC 2016/2015: Direct Download Links What’s the Difference Between Acrobat DC 2016 vs. 2015 vs. XI & X?